By now i hope you have gone out and tried out playing this wonderful game of golf. If you have, you probably have gone out and shopped for golf clubs and whatever else you felt you might need to play golf. 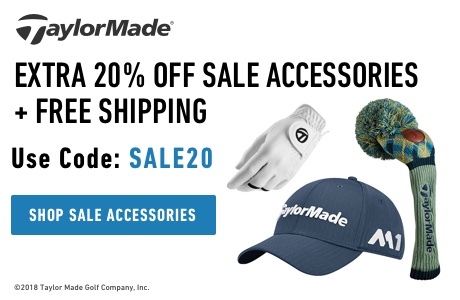 I am going to take some time here to be sure you are on the right track to choosing golf accessories that are right for you. The last thing you want to do is go out on the golf course with your playing partners and look like a fool because you do not have the proper golf accessories. So lets go. If you have not gone out and got your first set of golf clubs or you are just thinking of upgrading your existing golf clubs there are some things you should be sure of before purchasing or upgrading. You can take your clubs to any golf shop and they will measure all these factors for you, usually for free but if any changes should be made there will probably be a small charge. So always pick out a strong durable golf bag that can carry all the things you will need to make golf more pleasurable for you. Most definitely the third most important accessory that you most have is a good pair of golf shoes that fit you properly. The last thing you need is to get half way around the golf course and have a blister on one of your feet or have your socks be soaking wet. the most important thing you should think of when picking out your golf shoes is of course comfort but even more importantly is that they are waterproof. A lot of golf is played early in the morning when there is a lot of dew still on the grass and your feet can get soaked in no time if your shoes are not waterproof, so i would not skimp on shoes. Shoes are now available in many styles and colors but i would suggest going with something neutral so they can be worn with many different golf outfits you may have. I would also recommend shoes with plastic spikes as opposed to the metal spikes. A lot of pro shops and club houses do not allow metal spikes to be worn inside. Wearing a golf glove is totally optional. Most pro golfers all wear a golf glove but i actually know quite a few golfers who do not wear a glove. This is something that you will have to experiment with yourself. Some golfers feel that they have a better feel of the club in their hand without a glove. Try it out both ways, if you do not wear one and seems like you are getting calluses on certain spots of your fingers you can always put athletic tape on those fingers. A divot tool is another very important golf accessory to always have with you. Nothing worse than to land your shot on the green and have your ball put a big old plug in the green and you have nothing to repair it with. Actually a great practice to follow is after you fix your plug look for one or two more and repair them also. You would be surprised how many golfers fail to do this. Your ball marker can be any thing you want. You can use a coin or something from the course your playing that day. A lot of golfers actually collect them from different courses they play. I highly recommend wearing a good pair of sunglasses when you are playing on a bright sunny day. Not only will they protect you from the uv rays of the sun but they will also allow you to follow the flight of your golf ball after you hit it, this in turn will help speed up play which is so important these days. 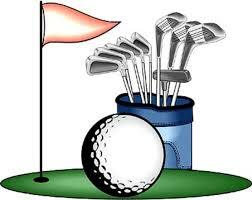 A round of golf should take 4 1/2 to 5 hours at the most. Well, I hope i have helped you in choosing your golf accessories, i think i have covered the most important ones here. If you have enjoyed the information here please feel free to ask any questions you may have and also please leave a comment below and i will get back to you as soon as i can. This a great post a must read for all Golf enthusiasts. 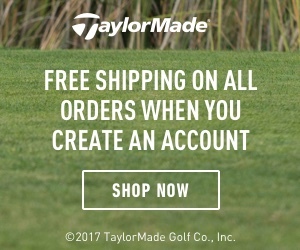 So much is probably overlooked when buying Golf equipment and being prepared for your Golf outing you want to look like a pro when your out with your friends and this website will get you there. Thank you so much. Robert this is a great and very helpful post. 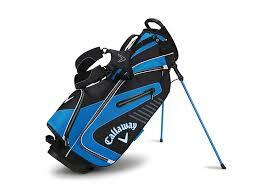 Choosing golf gear is completely overwhelming especially golf clubs. I have been so intimidated that I hadn’t even got up the courage to ask at a golf shop because everyone looks so experienced (well that is my perception). With your article in hand, I have the confidence to get myself sized up for a suitable set of clubs. Thank you! Great suggestions on the accessories. I no longer play (actually, I’ve only been twice and got laughed off the course both times) but some friends do and finding good gifts just got a little easier, thanks to you. Wonderful tips! I appreciate the explanation for each item. So glad I found this post. I will tell my husband about it so he can follow. Thanks for posting! Thanks for the suggestions Robert. Like Fleur I find going into a golf shop is a bit intimidating, they all seem so knowledgeable and I feel a little out of my depth being a beginner. Sometimes you find really helpful staff though, but I usually end up buying some tees and leaving. Is there any particular type of glove you recommend? To be honest I am using my thin leather ones from home but it might be time to get back to the golf shop for a proper pair. Yes, it can be kind of intimadating when you go in a pro shop being a newbie golfer but there is no reason for feeling that way. Now a days they have so many golf gloves for women it’s not even funny. They have gloves for long finger nails and softer gloves for finer skin, even all different pretty gloves for women. Gofers are pretty cool and always willing to help out the newbie. Just put your chin up and walk in like you own the place.